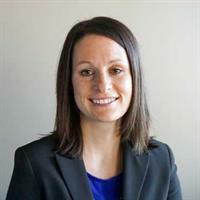 CNH Architects in Apple Valley has hired a seasoned certified interior designer, Ashley Klis, to provide expertise for the firm’s commercial project interiors. Klis expands the firm’s LEED AP credentials, which are extensive. LEED is the Leadership in Energy and Environmental Design, which named Klis as an Accredited Professional for construction and improvement of commercial interiors and tenant spaces that offer a heathy, sustainable and productive work environment. “Ashley is a good listener, and fits in well with our team and the firm’s client-centered service,” said Quinn Hutson, a principal of CNH Architects. In her previous work with a nationwide firm specializing in design and consulting for food service, she listened to leaders for projects in K-12 and higher education, business and industry and churches. Klis is part of a strategy to further develop the interior design expertise at CNH, Hutson explains, and she brings greater capabilities in system and freestanding furniture. The interior designer follows the client’s lead when deciding on interior colors, finishes and products and considers 3-D computer drawings invaluable to help them visualize the layout and design. She is currently working on multiple projects at CNH, including a fire station, corporate café, church, day care and several office buildings. Klis said she appreciates the variety. As a graduate of the University of Wisconsin-Stout, she received a Bachelor of fine arts in interior design. Klis is gaining added expertise through continuing education. She graduated from Lakeville High School and lives in Lakeville with her husband, their son and daughter. CNH Architects is a creative, service-oriented firm that provides innovative design solutions for the commercial building and retail areas, public sector clients, such as cities, counties and states, and vehicle facility projects, day care and animal care facilities. CNH has served clients in the Twin Cities and Upper Midwest for 50 years.